Guess where I was at? 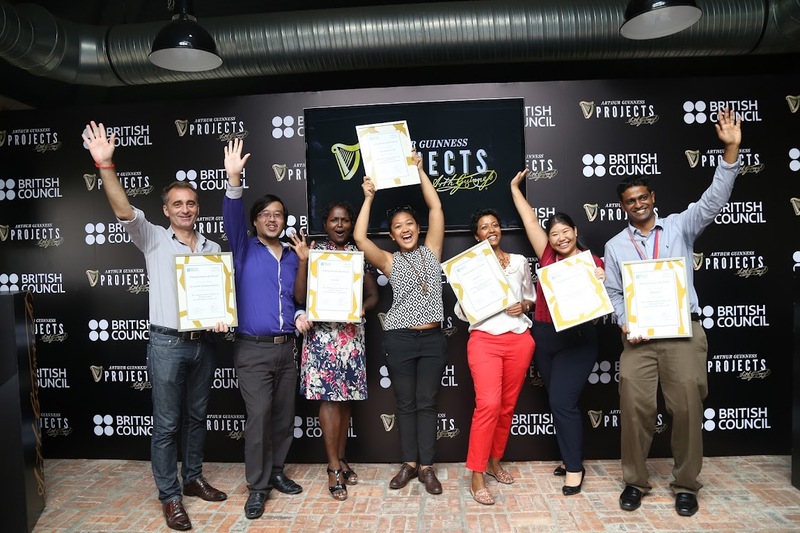 I visited Tavern at GAB (Guinness Anchor Berhad) on Tuesday noon for the Entrepreneurs For Good award announcing ceremony, a collaboration between the Arthur Guinness Projects and British Council. It was inspiring to see the projects done by ambitious, and talented entrepreneurs, their creative and unique ideas. 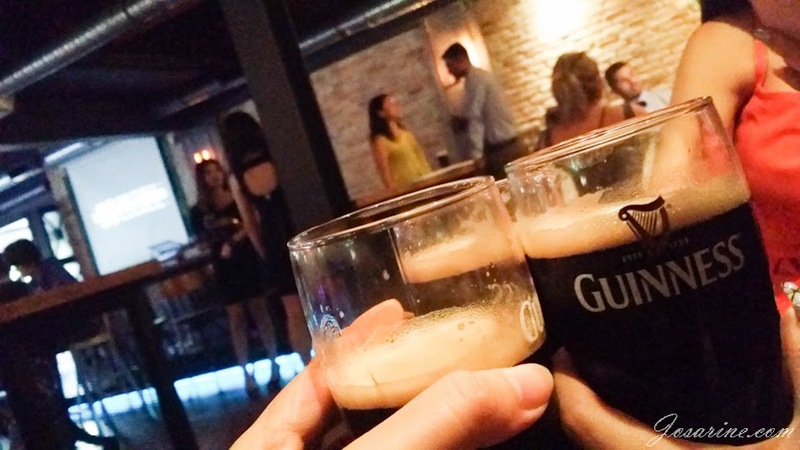 All 14 finalists were gathered at The Tavern for their final judgement.Here are some images of the projects. Photos credit to Duncan and Sidney. 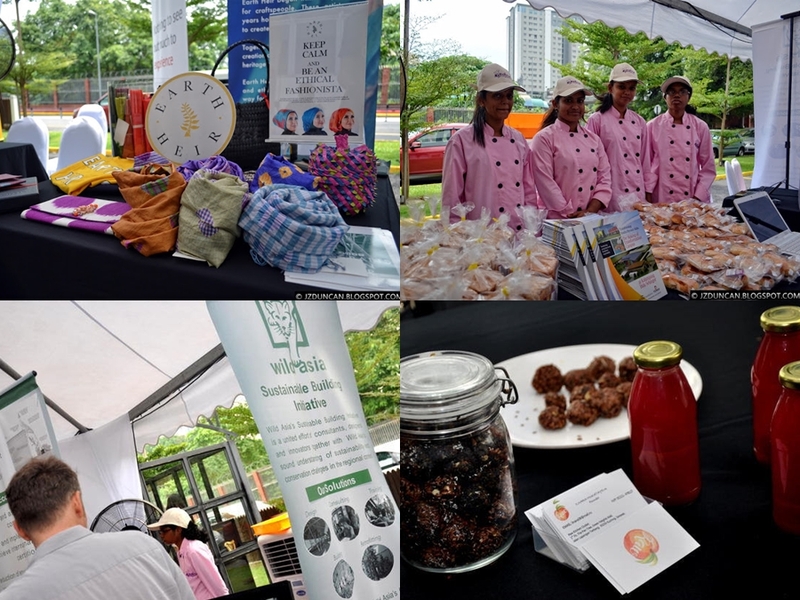 L-R: Earth Heir, MyBakery, Sustainable Building Initiative, and The Raw Kitchen. I arrived slightly earlier and managed to snap this photo before the ceremony started. :p.
Arus - Provides intro training courses in coding and programming at various schools and learning centres, focusing mainly on those with low-income by hosting free courses at schools. Do Something Good - Bridges the gap between potential volunteers, NGOs looking for volunteers, and companies who wish to engage in CSR activities; by setting up sustainable and scalable volunteering programmes. Earth Heir - Supports the training of artisans to preserve traditional heritage skills while also reducing unemployment and poverty by creating partnerships to connect their luxury products to the right markets. Fur Kids - Aims to open a suite of pet services, including a 'pet cafe', 'pet hotel', grooming and rehabilitation services. This would enable pet owners to spend more time with their pets while enjoying pet education. MyBakery - train young people and those from challenging backgrounds in the art of baking. Teaching them the skills they need to create authentic, healthy baked food using traditional recipes. MyBakery also provides future opportunities for employment and business ownership in a growing market. Sustainable Building Initiative - Provides consultancy services to enable businesses to become more environmentally friendly with their energy use and carbon footprint. Offers design and building services to create low-cost, environmentally sustainable homes and buildings which reduce waste and energy consumption for those from low-income communities. After the award winning ceremony we were well fed with buffet accompanied with pints of Guinness draughts. 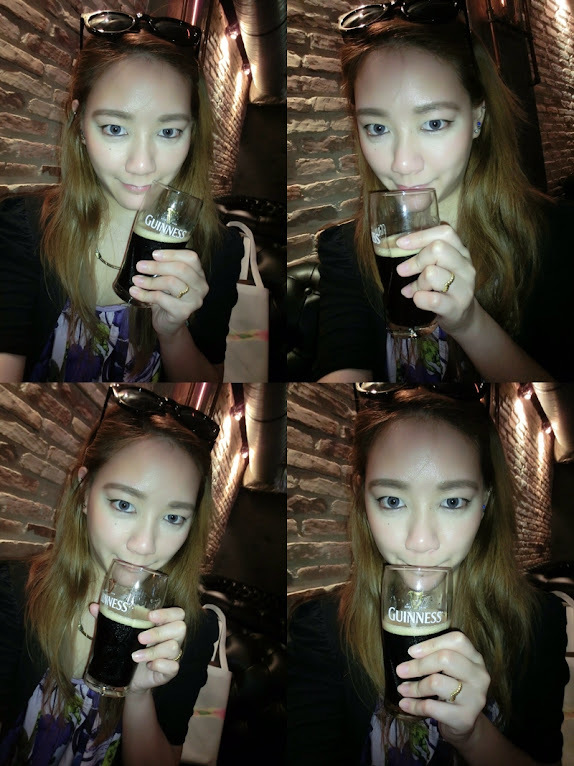 Me Guinness Selfie-ing. Love Raine's TR camera!!! 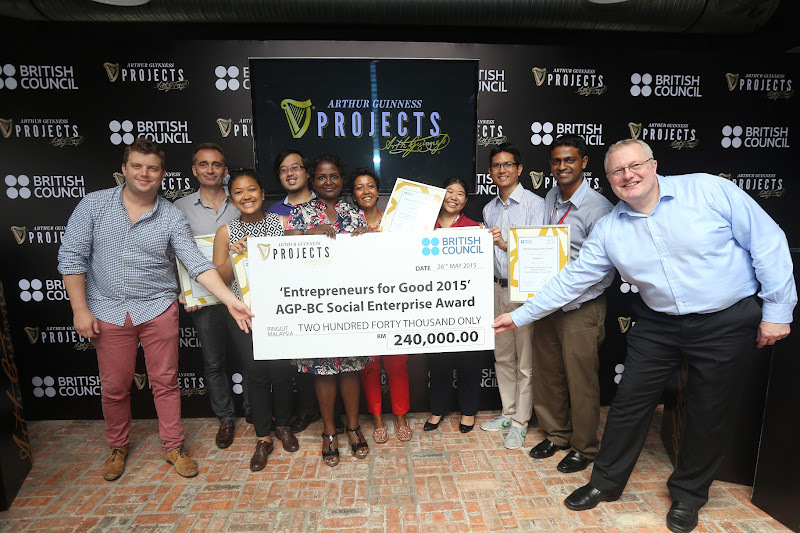 For more information on The Arthur Guinness Project Malaysia or the Social Entrepreneurs, please visit www.arthurguinnessprojects.com.my. Ahh, love reading yr blog! I always stalk once in awhile :p Do update more when you have time, hehe! Natalie's Birthday Trip to Singapore! Hennessy V.S.O.P Presents the PC5!